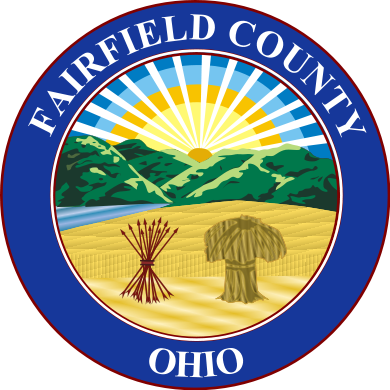 The concealed carry applications are available through the Fairfield County Sheriff's Office, located at 345 Lincoln Ave., Lancaster, Ohio. CCW appointments are scheduled Monday through Friday from 9:00 am to 12:45 pm, special circumstances such as holidays will affect this schedule. Please call (740) 652-7321 or (740) 652-7320 to schedule. We will accept your application upon appointment at 345 Lincoln Ave., Lancaster, Ohio. Carrying a concealed handgun is a large responsibility. As Fairfield County Sheriff, I will insure each application is thoroughly checked, fingerprints are completed and the required investigations are completed by my staff, within the allotted 45 days as required by law. I ask you as an applicant to help us with this process by reading through this letter and booklet, and making sure you have everything required in order for the application/investigation process to run as smoothly as possible. When you read through the Concealed Carry booklet please make sure you qualify as an applicant. If you do not qualify, and continue with the application process, not only will you lose your non-refundable fee, you may also be prosecuted for Falsification to Obtain a Concealed Handgun License, which is a fourth degree felony. • With this letter you should review the "Ohio Concealed Carry Law" booklet, and your application. • Be sure to read through the booklet carefully. • Before you sign the application, review it carefully, it is an Affidavit. • Obtain a clear, passport size and quality head shot photograph, no larger than 2"x2" taken within 30 days of turning in your application to our Office. Make sure you are not wearing any accessories, no hat, no sunglasses and there is a plain solid background. • Original Certificate of Completion of Firearms Safety Course by a licensed and approved instructor who meets the requirements of HB12/HB347. We do not keep your certificate, we only acquire the necessary information from it and return it to you during your appointment. • $67.00 fee payable by Bank Check, Money Order, Certified Check or cash ($78.25 fee if you have not been an Ohio resident for the last 5 years Effective April 1, 2019). CCW Renewal (in Ohio for last 5 years) $50.00, CCW Renewal (not in Ohio for last 5 years) $61.25 Effective April 1, 2019. 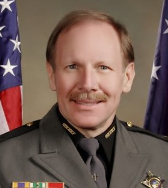 • Once you have completed and reviewed all your material please call 740-652-7321 or 740-652-7320 to set up an appointment to come into the Sheriff's Office, 345 Lincoln Ave., Lancaster, Ohio. • Please be on time for your appointment and have the necessary material, so we do not have to reschedule. • Provide your Drivers License or State ID. • Provide your Social Security Card if it is not listed on your license or ID. • Hand in your completed Application with your photo for review and Certificate of Completion for the course (you will receive your certificate back before your appointment is complete). • Have your picture taken for your license (this is different from the one you provide which stays with your application. We can take the passport picture for application for an additional $10.00 fee at your request). • Have your fingerprints taken. In the interest of efficient fingerprinting, staff safety and reduction of infection we ask that your hands are not overly dry, blistered or have cuts. Please moisturize your hands prior to your appointment, but do not come in with ointment or excessive amounts of lotion on your hands. If you are not able to make your scheduled appointment, please call us so we may reschedule you and open that spot for another applicant. My staff and I are dedicated to making this process as safe, organized and professional as possible. Once you obtain your license, I ask that you remain safe and professional when you carry a firearm. 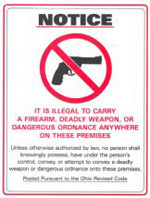 Make sure to look out for signs like this telling you not to enter with a gun. Check out the following links for access to the required reading "Concealed Carry Law Handbook" and for additional information from the Attorney General's Office.